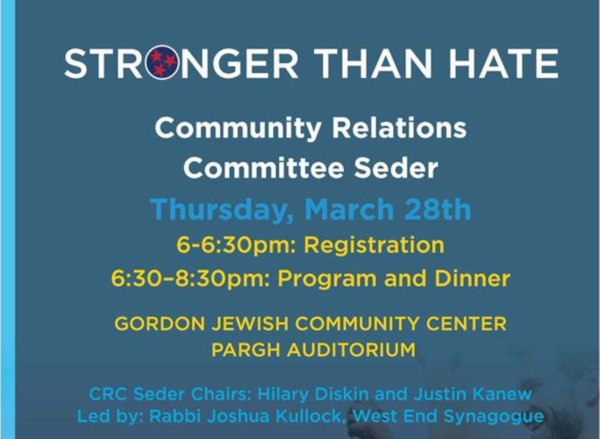 The entire community is invited to this Passover Seder to strengthen positive relationships between the Jewish community and all who are dedicated to justice, diversity and respect. There is no cost to attend, but preregistration is required. Please bring a non-perishable food or toiletry item, especially diapers, to be donated to families in need. Luke 14:12 serves Nashville’s hungry, homeless and working poor. On Monday, March 25, you can join other Vine Street folks to help serve lunch from 11:15 a.m. until 1 p.m. at 705 Drexel Street (the Room in the Inn campus). No experience needed. Contact Jeff Miller to volunteer. If you would like to talk to parents whose children have attended any of these camps, please contact Allison; she'll be happy to make the introductions. On Sunday, 3:00-5:00, Nashville Disciples youth will gather at Alameda Christian Church. If you need a ride, please let Allison know! Bring a side dish, chips or dessert – We’ll grill out hot dogs!